Whatever the last post of the year was about I wanted it to be Jogi related in some way. I should have written this post after I got back but somehow never found the time, and with today being the 31st I guess it’s the perfect time. I still can’t believe that it actually happened, that instead of being in my room watching that stuff on TV I was actually there. I just wish I could have gotten more pictures and video. Unsurprisingly I’m not too good with a camera, turns out twitchy people and cameras don’t mix. The cold didn’t help either, nor did the fact I was trying to keep hold of so many things at once. Should I go autograph hunting again I will definitely be better prepared next time. Still I did at least manage to get some good pictures of Jogi and video too. Unfortunately I didn’t get one of Matze, he was standing right in front of me. Whilst he was signing the shirt I could easily have snapped a picture right then but I guess I wasn’t even thinking . I was a little awed by the fact he was right in front of me and he was so much taller than I expected. As important as getting a Jogi autograph was getting one from Matze was definitely the best part of the whole experience. That’s probably the one moment of the trip I’m actually quite proud about. It’s not a word I use often, not a word I like either. But that’s how I feel about that moment. The reason being it’s one of those rare moments in my life when I spoke up for myself and it paid off. 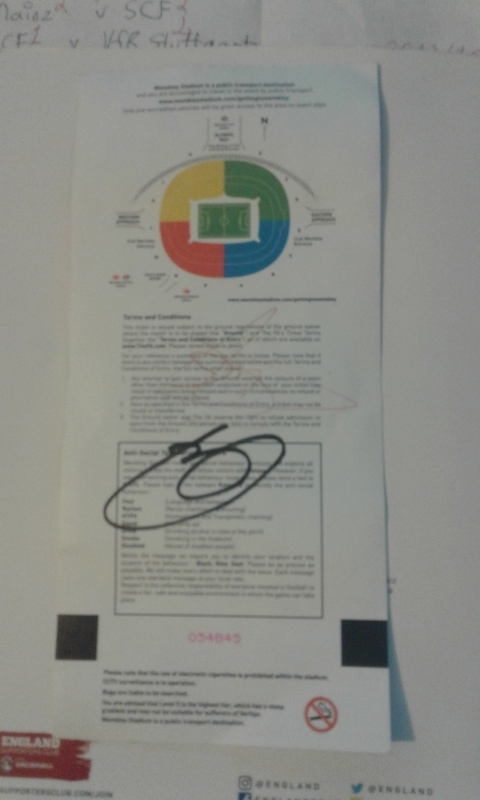 Had I not called out Matze’s name as he walked to the bus he would have carried on walking and I never would have gotten his signature, never would have got to see him standing right in front of me.I got quite a few signatures in total, Mario Götze, Julian Draxler, Lars Stindl, Per Mertesacker and a few others I can neither remember nor identify. And not forgetting one from the DFB president and Oliver Bierhoff. As for Jogi I didn’t get one signature, I got three separate ones. 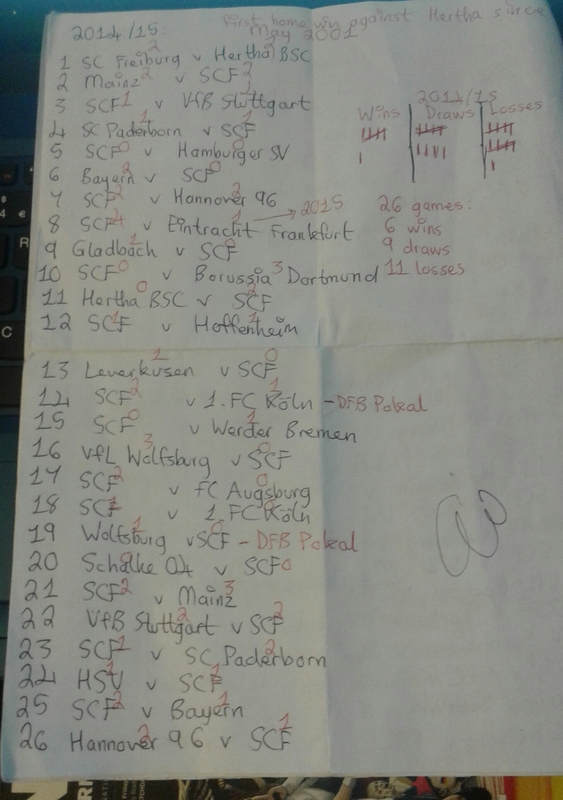 One on the very special piece of paper I wanted signed (a list of every Freiburg game I’ve seen going back to September 2014), another in my book and this is the best one of all, my match ticket. Despite not getting off to a very good start overall I think the trip went well, there’s definitely room for improvement and a few parts of it I wouldn’t want to repeat under any circumstances but the positives outweigh the negatives. Getting lost in London wasn’t fun at all, it was scary enough the first day in daylight when I had a vague idea where I was, the second time was terrifying. Yet it has it’s good points, I was alone and had no-one to rely on. So if I was going to find my way I had to ask for directions and figure it out. How I managed to do that I still don’t know. The second day went better than the first, I spent the afternoon before the game waiting outside the team’s hotel and it paid off. 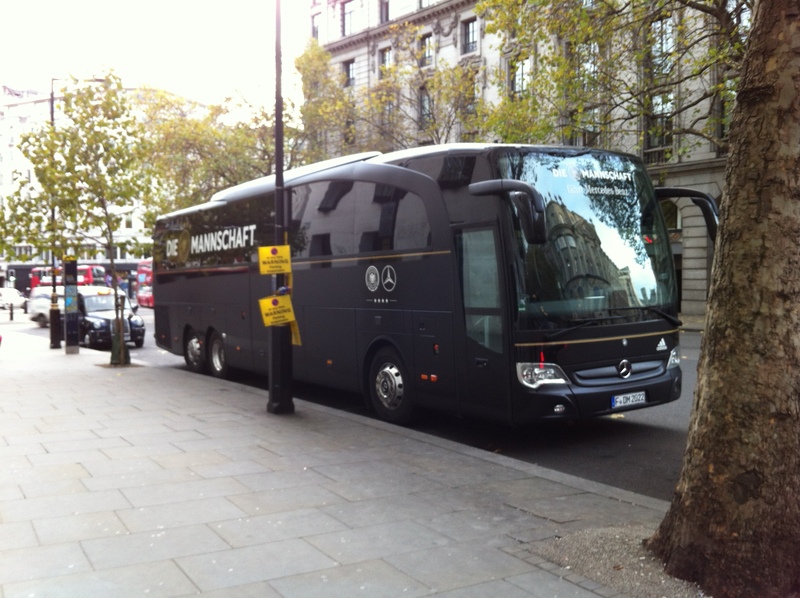 I got a few autographs before the bus left (though not Jogi, he went straight to the bus) and watched the bus leave. I almost missed kick off because of having to rush back to the stadium but it was so worth it. Now on that point I had planned ahead, my hotel was close to the stadium so I had just enough time to drop off my stuff and get to the game. The part I was most anxious about turned out to be not so good. I was anxious enough about the prospect of queuing to get inside, I could have done without getting spat at by a no doubt drunk England fan who mistakenly thought I was a German. Same as I could have done without the Auschwitz chants on the underground on the way there. But they were the exception to the rule, almost everyone else I encountered was nothing like that. On the subject of meeting people that was one of the big surprises of the whole experience for me. Now the social side of things didn’t go so well in one regard, but there were enough unplanned encounters to make up for it. Whilst waiting outside the hotel I got to meet and talk with several different people. It was cool being just a fan among other fans, not being the “weird” one for a change. And I even got to meet a few Germans, though some of them curiously enough seem to be baffled why I’m a fan of Jogi. Being the only fan of his there after the game certainly worked in my favour though. Then all the attention was on the players but I was waiting for Jogi, convinced that I wasn’t going to miss out this time around. Normally in social situations all I do is watch, this time I was able to make that ability work for me. I watched and waited, and finally got my chance. For once in my life hyper-awareness worked in my favour and did something other than make me anxious. The day after the game I was meant to go on a pre-booked tour of Wembley Stadium. I didn’t end up doing that, having decided the night before there was something much more fun to do. And that was going back to the hotel in search of more autographs and pictures. I am so glad I did go back because that was when I hit the jackpot, getting the cutest pictures of Jogi ever. Getting an autograph from Lars Stindl made it worth it too. And the best part of all, I got to meet Uli the Sky reporter and get an autograph, that was unbelievably cool. I got to talk to him about a few things and one very important subject in particular. The night before I managed to catch up on some of the news online, seeing his report on TV I heard him mention Hansi. As it turned out Hansi was actually there, Uli confirmed that part. 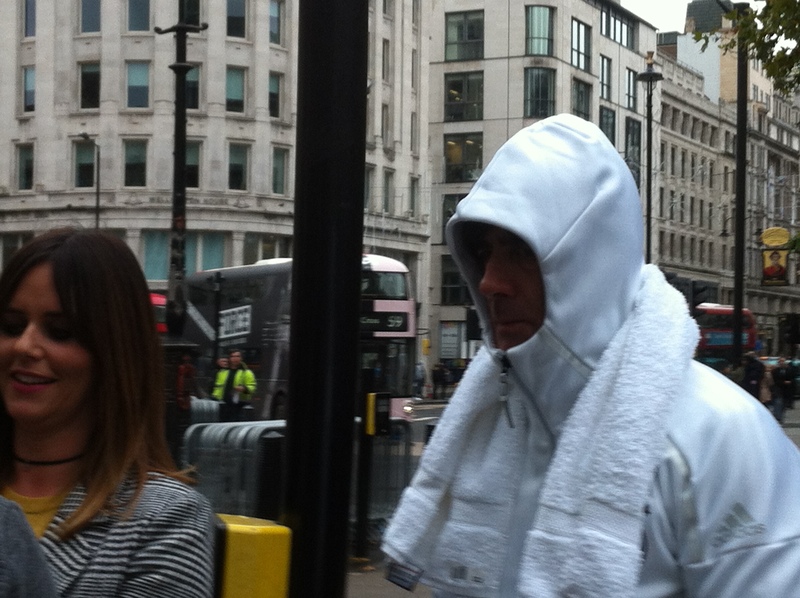 But he wasn’t staying at their hotel and I didn’t get to see him. Still it was cool just knowing he’d been there. Many things didn’t go as planned and a lot of things could have gone better, but none of that matters. There will always be things that go wrong or don’t go exactly to plan, this trip was proof that things can still go right afterwards. This trip cost me a lot and I don’t mean financially speaking, it really wiped me out in terms of energy but it was worth it. Even the delayed meltdown/stress reaction when I got home was worth it. I’m already thinking about another trip, about going to Germany next time. Before that seemed the very definition of impossible, I’m not going to lie, it still feels a little daunting now. But less so, the prospect of it no longer seems quite so terrifying. And even if it is scary, the rewards are worth it.